Writing Prompts! As a teacher, a KWL chart gives me valuable information that can be used to help drive my instruction with a topic that students are being introduce to. 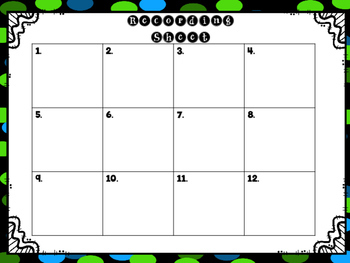 Often times students have expressed to me that the KWL chart is not as engaging as a good game of “Scoot.” With that being said, I knew I had to do something to incorporate what the students liked, and what I needed to know. That’s when I discovered that I can make Task Cards to serve as a much needed dual service not only for myself, but for the students as well. These 24 task cards were created to give me a “snapshot” of student’s prior knowledge about Persuasive, Informative, and Narrative writing. I use the acronym PIN when I refer to these three different genres of writing. 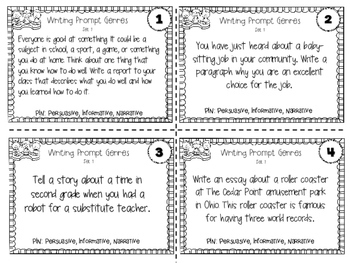 These cards can also be used for small group instruction, individual assessments or discussion starters for different components of writing. 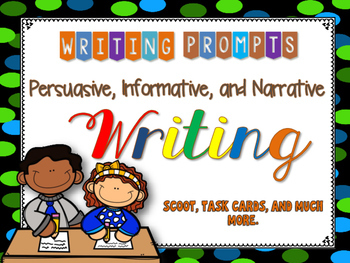 Whether those components are “hooking the reader”, “building suspense”, “elaborative details” or “supporting their opinion with three main reasons” these writing prompts will generate much discussion and provide variety with your student’s writing. Also provided is a Recording Sheet and a student feedback form that students complete to inform you of their level of understanding. Remember that this product is a PDF and can be used on a Smartboard or Promethean Board for instructional and demonstrative purposes. ****This product has been teacher tested and student approved!! !